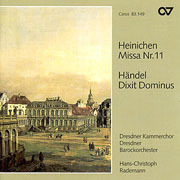 Handel’s setting of Psalm 110, "Dixit Dominus", is one of his first surviving works, composed at the age of just 22 during his three-year stay in Italy. 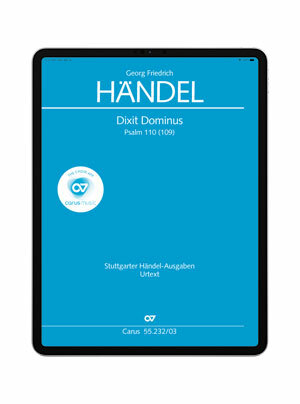 In this large-scale work, he already displays an assured mastery in his treatment of chorus and orchestra; the obstacles for choral singers, who need to be extremely agile, should therefore not be underestimated. 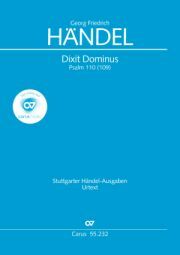 The numerous fugal or imitatively interwoven sections – the intertwined sixteenth note writing of "Tu es sacerdos", the initial entries in "Dominus a dextris", and the concluding "Et in saecula" section with its many octave leaps need to be thoroughly learnt.